It’s only fitting that Path of Motus, a game centered around learning from one’s mistakes and self-betterment, is in fact a remake of Sententia, one of the Xbox 360’s ugliest and critically dismissed titles. When it was released in 2012, the title had little going for it other than its core concept: characters attacked using words and the game went through the life of a goblin-like creature that was bullied by others. Some lackluster controls and poor design kept the intriguing idea from being anything more than potential. 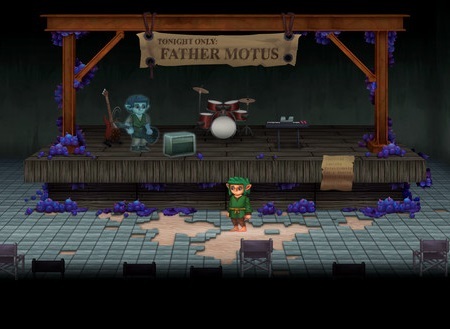 The core of the game is the same in Path of Motus, as it takes the player through three stages of the titular character’s life. Motus is seen as an outcast as a child, for he dreams of leaving his small village through the dangerous forest rather than falling in line with the rest and following the status quo. The ramifications of his journey are seen through his adolescence and adulthood, and players get to see the triumphs and failures that come with sticking to your resolve (or the affects of wavering from it). The majority of the action plays out like a platformer as Motus is greeted by various goblins that are happy to hurl obscenities his way whenever they see him. These impede his progress and act as a one-hit kill mechanically. The player can fight back by using their own words to dissolve projectiles (the game uses a colour system that operates similar to roshambo) or even take out enemies by using their own words. 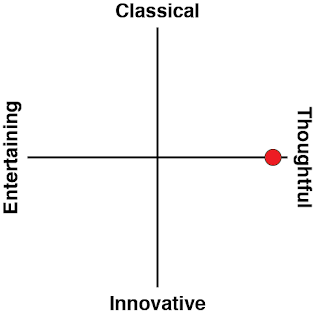 Similar to classics like Law of the West, players get to make an important choice in Path of Motus. They can either fight back and kill every goblin that they see or they can take the high road by evading combat completely. The former idea plays to the very nature of video games. I’ve been killing fantasy creatures in games without a second thought for over 20 years, and naturally the game becomes considerably easier once the enemies are dead. However, there are ramifications for those actions that come into play throughout Path of Motus’ narrative, and it staunchly asks the player at one point if they think they’re better than the bullies they’re facing off against. It’s a bit on the nose, but it is also a very valid critique of violent games. It’s become second nature to kill every character on-screen. So, to force the player to examine their own actions (after all, it’s not like the game ever told the player to kill anyone) provides a strong moment of introspection. When playing with pacifism in mind, the level design really shines. The combat, which sometimes feels stiff and awkward, suddenly becomes a non-factor, and it becomes a pure puzzle-platformer. 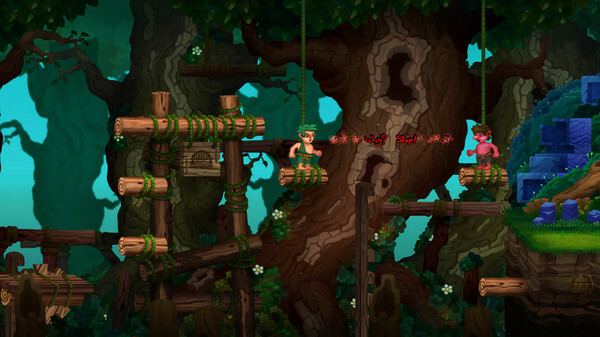 It also forces the player to discover some of the more advanced maneuvers that at first seem like rough design, such as being able to jump up into the air after walking off a platform. It looks a bit sloppy, which made me think it was a bug at first, but it winds up being a key mechanic that allows the player to cross gaps that are otherwise too far to jump over. Path of Motus’ other half comes in the form of a puzzle game where the player has to figure out logic puzzles in order to build bridges in order to progress from one area to the next. 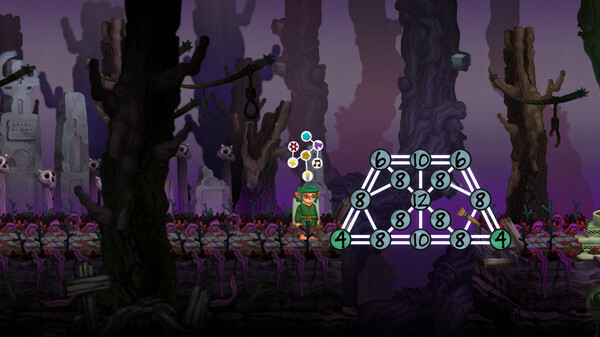 These tricky number puzzles, which all revolves around drawing lines and how many connecting lines each node in the bridge can have are quite enjoyable to solve (although the lack of a hint system does mean that players might be staring at the same screen for an extended amount of time). Overall, the game has a nice flow of story moments, puzzles, and then platformer segments to never grow overly stale during its short runtime. The biggest triumph of the game comes from the aforementioned story beats, as it doesn’t always paint a beautiful picture for Motus. It’s not afraid to reflect upon the realities of life, that there will be failures along the way and moments that don’t play out like one would’ve wanted. However, it focuses on the point that people have to accept this, and learn from their failures rather than wallowing in them. There’s even a fantastic fourth-wall breaking moment near the end that brings the whole project together thematically. 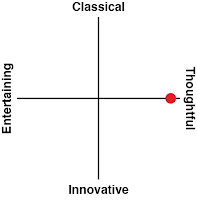 Path of Motus is proof of the very concepts it preaches throughout. By using his determination and learning from his previous failures, developer Michael Hicks has been able to finally flesh out the concept he had in his head since 2012. There are still some problems, as the platforming can feel awkwardly stiff at times and the game isn’t the prettiest of titles, but it’s a resounding triumph in teaching an important lesson. Those that finish Path of Motus will find themselves better for the journey and motivated to follow their dreams. That type of reward far surpasses the amount of fun a game can bring.